Are you looking to create more conversion from Facebook Ads? Have you considered how funnels can help? These two are actually a strong match with the proper application. As a marketer, you probably know the stages of a buyer’s journey with your eyes closed. This should also be you when it comes to Facebook Marketing. There’s a lot to consider with Facebook like whether to do a page or a group but it all starts with your funnel. Any business can utilize Facebook’s advanced targeting options for their online marketing and make sure their content is arriving to its target market. You don’t need a high budget, just utilize the customization options and tailor your campaigns. With this, you can connect to all your leads at every part of their journey. When people start with their Facebook ad, they usually end up choosing wrong objectives. When you have a campaign that is conversion focused, you can create a variety of conversions you want to track and optimize. Custom conversions from your website that are based on interactions can also be included. The usual ones are view content, lead, add to cart, and purchase. More often than not, the people who go with a conversion objective don’t actually gain a lot of it. 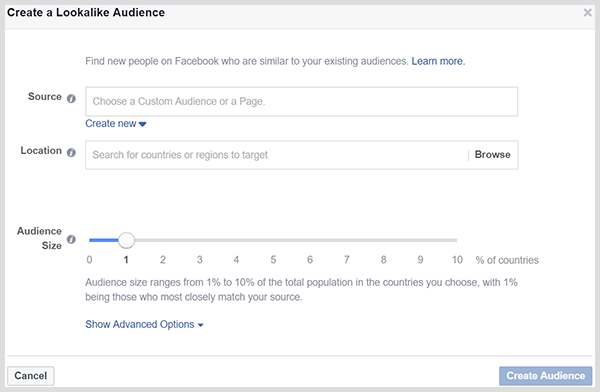 However, Facebook actually recommends you to choose the conversion type that transpires around 50 times per ad set. These number are actually great. People aren’t really aware of that so they usually pick something else. When you create a conversion campaign with insufficient data, Facebook doesn’t know what to do with it to optimize it. 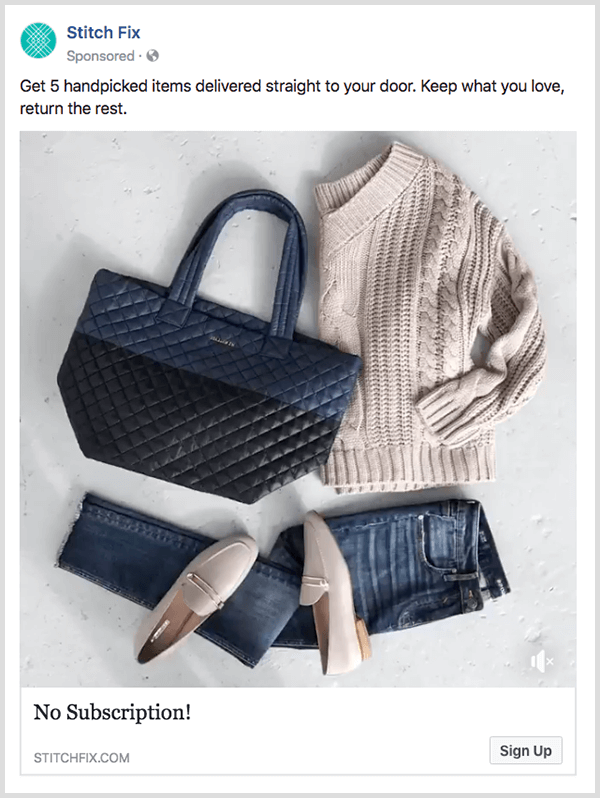 Facebook recommendations are usually accurate so if you have a very specific audience, you campaign may work with lower number of conversions. Normally, Facebook needs to analyze at least 50 conversions to get to know the ideal user and how to find more who are like them. The lack of this data causes Facebook to struggle as to who it’s really looking for. In order to maximize the way you’re spending your ads, you need to change your mindset on conversions. The greatest conversion may be in them signing up for a service of buying the product but the most of the audience takes a couple more steps before going there. Your starting engagement goal doesn’t have to be the ultimate conversion goal but a jump start on reaching those who may want to check it out. A good example would be an online vitamin brand who’s looking to make more sales. People won’t hop up on that bandwagon immediately. There are small steps they take like learning about their body and how vitamins affect it or reading posts about improving their lifestyles. Basically, you need to consider the small steps it takes that leads to 50 conversions per week. By choosing to act on something that happens early in the funnel, you can show Facebook sufficient data in converting more audiences from the beginning. Managing to choose the appropriate action is only part of the issue with the other part being campaign type. When you create a campaign on Facebook, it asks about what you want to accomplish. Practically everyone chooses the conversion because they’re all trying to sell something. By choosing the conversion campaign type, people are immediately locked into it and its offerings. What they don’t notice is that there are other campaign types that are cheaper and end up with conversions as well. 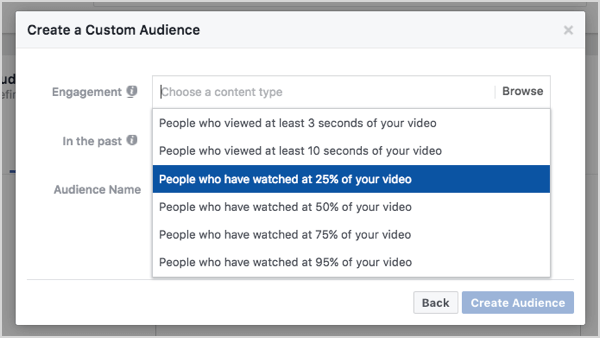 Facebook now has video and advertisers have started pushing the video based funnels. These are best for products that have steps or need further explanation. It’s also a great way to introduce the product to people. These are great because of the update Facebook created that has the ability of retargeting and custom audiences. In the past, people used other websites to retarget their users but now it’s a lot easier as people don’t have to go there anymore. You can retarget a person based on what percentage of the video they watched. From here, you’ve already lessened your cost per acquisition for clients who watched a video while being set for conversion. It’s all about stepping back, utilizing videos and making more money. If you think you have a good video, you should do a video views campaign. While your target audience may be big, the campaign will narrow it down to people who like to watch Facebook videos. This will cost you a lot cheaper while reaching the right audience. 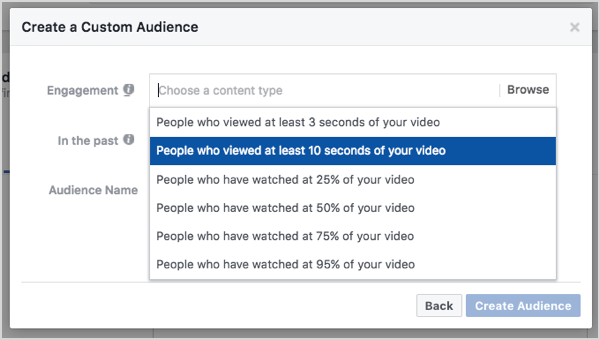 In a video views campaign, Facebook charges you based on a CPM (cost per thousand) basis. This overall is just a fraction of the cost of a whole conversion campaign. You just have to make sure that the video view is in line with you ultimate conversion goal. Doing this can also help you achieve what you need at a more appropriate cost. You can do a live video and if it does well, you can remarket it to people who watched at least a quarter of it. This way you can fuel you can benefit for the video with the video view ad objective. As you create that audience, you can reach out to them later on with an offer. With e-commerce, this also presents a great opportunity. A brand thought that their conversion campaigns are doing well, they decided to just give the video view funnel ad a try. From there, their return increased to twice to thrice of their earning from the conversion campaigns. With this campaign, people who watch at least 10 seconds of the video will have a carousel ad that will highlight the product’s best points. The combination of these 2 cheaper campaigns (video views + retargeting follow-up campaign) will give you a flurry of website traffic for a lesser cost. The only difference with the conversion based one is how you lay out your funnel. Aside from the money saving aspect, this can also aid you in reaching a different audience compared to the conversion based one. Upon setting up your ad’s audience targeting, the audience size changes depending on the criteria you put or remove from it. When you run the ad through, it doesn’t show up to all these people. Your potential audience may be a million but if you choose a conversion campaign only a fraction will see it. This is because Facebook will only show it to those who will most likely convert. With the use of different campaign types like this one, you can reach a different variety of audience and engage in their preferred way. Despite a huge audience potential, conversion based ads will only catch a part of it. With video views, you can reach those who are already close to buying but prefer to use Facebook differently. It can be a hassle trying to choose which platform to use for your site. If that part isn’t quite reatdy then you can go with Messenger ads that point customers towards creating a convo in Messenger. 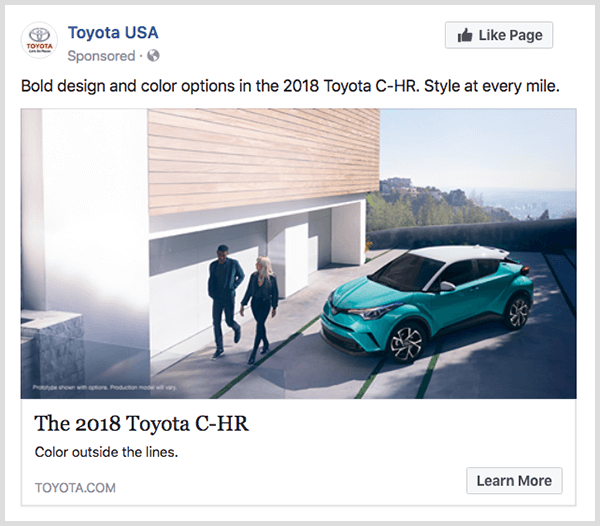 The ad that will appear on your news feed won’t be a ‘Shop Now’ that leads to the site. Rather it would have a Messenger button so when they click on it, they can start talking with you. This can work in very specialized use cases. An example of this would be an abandoned cart with products customer usually have questions about. It can be the type of thing, they call or email about before purchasing. You can create a retargeting ad to save the situation wherein customer service is done via Messenger. For this strategy to work, you need to have a very sociable and amicable person handling the messages. This is only a fraction of the options available and there is only more to come. It’s quite normal that when people start their funnel, they start with the interests and custom audiences. It is only afterwards you realize that there isn’t any content to work on the funnel. It’s better to do it in reverse with content as the beginning and going on from there. Look at the content you currently have and look at what needs to be added. 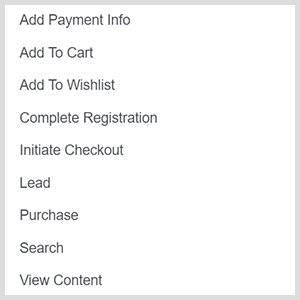 With an audit, you can quickly see which funnel ideas can be launched now. At the same time, you see the ideas that still need to be developed with more content. Include all that’s ready in your audit from PDFs, ebooks and webinars. You may also put in blog posts that have been extra helpful and gotten good feedback. You can also use marketing tools to ensure your data is accurate. Once you’re done with the audit, you have a good idea of what you currently have to offer your users. You avoid getting too hyped about targeting with nothing to offer. You can also begin creating your lacking content for the future. From here, it’s time to know your existing audience. You can start with an email list and it’s current size. You can also study your website’s traffic and then have data to use as a base for retargeting. From there, you can make your identical audience based on these emails and other people who’ve shown interest on your site. This process is like creating an inventory of audience data. If there’s no audience then you’re starting from scratch. You can look into interests first and build the audience from that point. If you do have a starting audience, you have to see if there are enough of them for retargeting. Once you have this data, you can look more into the different audience options. You can choose a lookalike audience as this has become a super effective route for Facebook. It’s not advisable however to create them based on fans as this ends up with a lot of spam especially with pages that use ads to get likes. You can also use the boosted post features which does most of what you can do using the Ads Manager. However, boosting a post from the page interface gives you less option. It also doesn’t really optimize as wee as a page post engagement campaign. While boos and page post engagement campaigns basically do the same thing, the Ads Manager Power Editor has the ability to access post engagement. If you want a post to get engagement, create your ad via Power Editor. Once you know the type of audiences you have, you can start knowing the three buckets you’ll have which is usually the cold, warm and hot audiences. Your cold audience are those who have never gone to your site or interacted with you at all. Since you have zero idea of these people and what you can offer them, you show ads using lookalike audiences or via an interest. Meanwhile, the warm audience are those that are normally the engagement retargeting group. These are the ones who may haven’t visited the site but downloaded a past offering so they’re on you email list. They’ve encountered you at one point may it be through a video or other offerings. Lastly, you hot bottom of the funnel audiences are those who have visited your site. You can also put it extra parameters to see their true engagement. For example, you can make a retargeting audience for those who have visited your site a certain amount of times. You can also check on how personalized your e-commerce site is as this plays a big part in their final choice. In order to categorize these audiences, it’s better to have a worksheet to be less overwhelmed. Apart from deciding which part they go into, it’s also identifying whether you want to create a funnel for them or not. With a worksheet, you get a small vision of how the funnels may end up. You can have an audience that has watched your videos. It means you may want to create more video view ads to add more people to that funnel. You can also get an overview of how your ads budget is going to go. From there, revisit the content you have and see which is appropriate for your varying audiences. Whether you want to reach a high end or lower end audience, every place the audience has plays a good idea on what they should get. The hot audience content has a selling focus since they already know your brand and what you offer. At this point, it’s just about whether they will make the purchase or not. With this audience, it’s down to the specifics of your brand. You can go into detail of your company culture and how you can help. Even if the content is quite in your face selling, the audience isn’t bothered because they know your brand. When it comes to warmer audiences, it’s a bit more careful as these are people who sort of know you but are farther from purchasing. They’re not strangers but it would take some more convincing to get them sold on you. For the cold audience, you can share content that isn’t an effort for the user to view. You can show off influencers or celebrities using the product as a hook. It’s not the time to share a 50 page ebook or requiring an email address for a certain content. 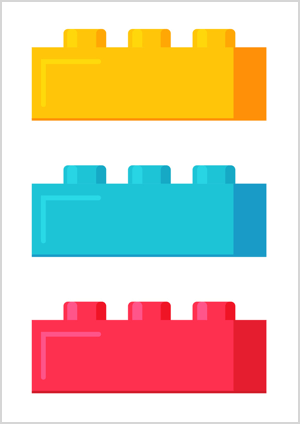 It’s better to share content that simple introduces the brand. A blog post or video can create that impact with no strings attached. While you create ads for the cold audience, you also have to think of creating ones that can move them into the warmth. If your audience has watched more than 25% of your video, you can move them up to the warm audience. You can set a criteria to automatically move them up. There should also be a remarketing audience for the warm audience. You can then start viewing that the warm campaign is creating impressions. If you set up all your audiences at the start then the funnel will be self sustaining and easy to manage. When people are still in the warm audience, you have to keep creating content for them. It’s also important to know that if your content isn’t video, it can be a struggle to move them to another type of content. 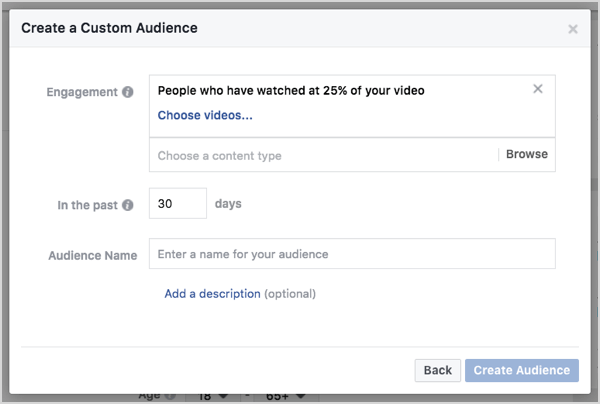 Facebook only allows you to create custom audiences through videos and not with other content types. With the use of videos, it’s easier to sequence content. For example, they might take part in a 3 part video series. When they watch even a quarter of the first one, then next one can be shown and will educate them on the next step. The progress of moving from the warm to hot audience can help you decipher how much content to show the warm audience. 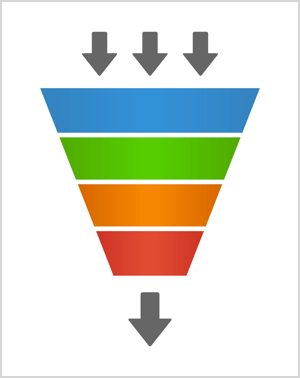 Sometimes, the bottom funnel has no conversions but the mid funnel one generates a lot of engagement. This is a factor on what you can edit for more information. Another step you can try is changing up the content type as this can move some from warm to hot. Aside from videos, you can try an informational PDF, people have different preferences before deciding to buy. In setting up the audience for the funnel, you also have to consider who to exclude. When it comes to the cold audience, you can exclude people who have gone to the site in the past two months as these are hot audience. With the cold to mid funnel warm audience, you should exclude those who have watched 25% of your videos. This keeps you from showing the same content to the same people again and again. With the hot audience, you exclude to make sure that people you’re engaged with are really the most interested. The bottom of the funnel is usually the smallest when you’re starting so there will be some exclusions. It can be a headache trying to track the people moving through the funnels especially if you’re managing the ads. If there’s only one simple funnel, it’s a lot less daunting. Once you start building and adding though, it can be easy to forget who’s included and excluded peraudience. In this case, it’s important to use excel to map out the whole funnel. Once you have this blueprint, you can set up the funnel automatically. It can get immensely confusing if your think through the funnel while doing it on Facebook after some time. As time passes, you ad budget constantly changes. While you start with majority of your money targeted towards cold audience, it can eventually move towards the middle. This is due to having more of the funnel in place. You can also start to see which of the cold audience criteria is working for you. Once you build the warm audience, you can spend less time in the cold audience and focus on the warm. This can help them feel that you’re dedicated and constantly active. Your warm audience may then become too big so it’s time to manage the budget by lessening the size. You can check out the timeframe and cut back on those that have viewed videos and downloaded PDFs but have not shown any interest for a couple of months. To know what a good time frame is, you can use Google Analytics time lag report. While it won’t work for long sale cycles, it is good as it can show when conversions mostly happen. If these transpire within a week or a month then there’s no need to keep audience that watched it 6 months ago. You can also test different timeframes. You exclude these audiences from one another and this is where you see at which point conversions decline. This is helpful in knowing your budget and how to allocate it through time. And that’s it! We hope this guide was able to help you in starting your own funnel and knowing your audience. If you’re looking to know more, we have an all in one guide for digital marketing to keep you informed and updated. If you think you need more help and you’d like to optimize your digital marketing to it’s full potential, we are always here to lend you a hand. Contact us here to know more.